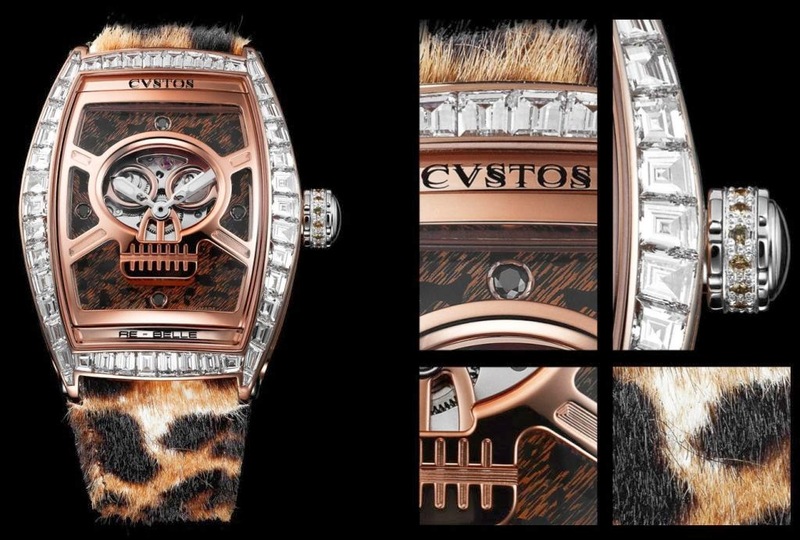 Swiss luxury watchmaker CVSTOS redefines the aesthetic codes of the women’s watch with new cutting edge timepieces of avant-garde women’s style. 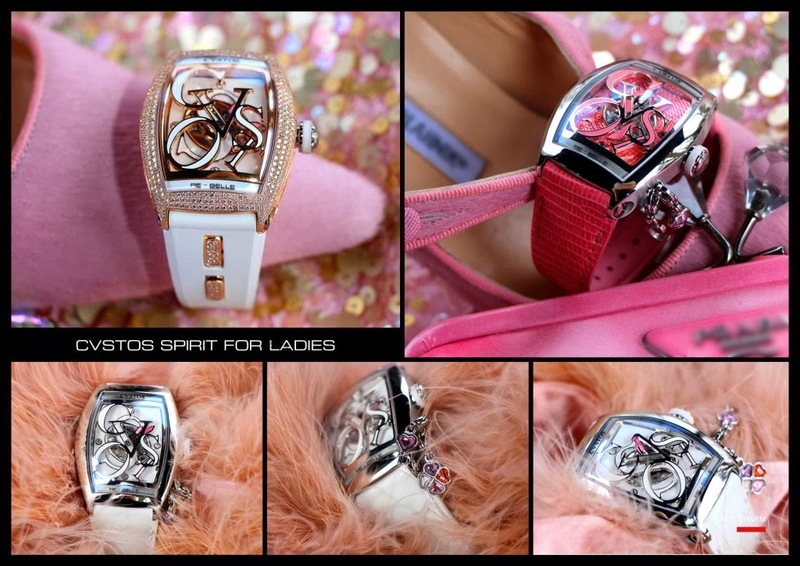 Representing the height of luxury, and dedicated to women who have time to take time, the new Re-Belle LADY CHARM line from CVSTOS has been revisited in a new, temptingly feminine collection where non-conformism reigns. CVSTOS has reinvented the Re- Belle range to reflect the needs of today’s woman and her constant search for the perfect accessory, one that matches her mood and personal style. 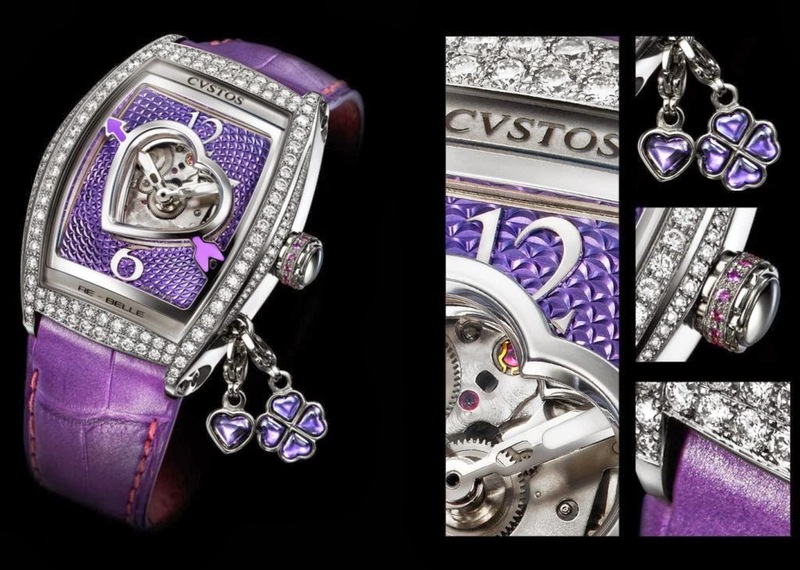 At the pinnacle of fine watchmaking and feminine sophistication, the CVSTOS Re-Belle LADY CHARM embodies irreverence and style. Conceived in a bold, rock ‘n’ roll spirit, the Re-Belle LADY CHARM is characterised by pure lines and generous volumes. Voluptuous proportions of the polished or diamond pavé case enclose a partially open dial. This offers a window onto the mechanical heart within and the intricate movements, finely decorated with a guilloché rice grain motif. To read the time is to play a deliberate game of hide and seek, with hours and minutes glimpsed beneath a choice of themes: CVSTOS ‘Corporate’, ‘Cupid’, with heart and arrow, or ‘Skull’. Timekeeping efficiency is expressed in its simplest form; the adjustable function on this mechanical timepiece being the automatic winding mechanism, seen in the screw-down crown in grade-5 titanium. The crown is embellished with a ring of diamonds, for added grip. The timepiece offers water-resistance to 10 Atm. CVSTOS takes playful refinement to the extreme with a selection of removable, interchangeable charms, designed to reflect life’s most memorable moments. Customisable according to her desires, the Re-Belle LADY CHARM provides the CVSTOS woman infinite ways to show her mood or style through her timepiece – the most personal of accessories. Also a veritable jewellery piece, the Re-Belle LADY CHARM, available in steel or 5N pink gold with jewellery embellishments is worn on a nitrile (synthetic rubber) strap in black or white, with a choice of pin or folding buckle, and removable pavé links as an option. 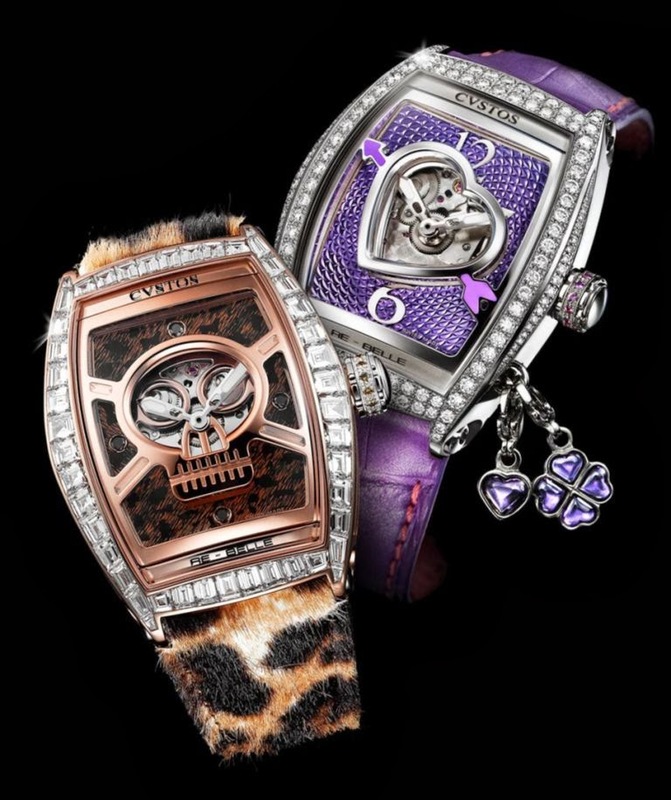 This model can also be worn on a choice of bracelets in brightly coloured varnished leather, or with an alligator or faux leopard fur strap.